Partly out of necessity and partly because of new opportunities opening up, the Philippines men’s national basketball team playing Iran on Thursday looks every bit different from the one that took the court in the same tournament just 2 months ago. The squad has a new head coach in Yeng Guiao and all but 2 of its 12-man roster haven’t seen action in the Asian qualifiers of the 2019 FIBA World Cup. Regardless, the objective remains the same — produce a W.
The country hopes to do that when Guiao and his crew visit Azady Gym in Tehran to take on the 3-time FIBA Asia Cup champions. Game time is at 8:30 p.m., Manila time. The Philippines is essentially an overhauled squad with Gabe Norwood and Allein Maliksi the only players who saw action in the first-round preliminaries. After FIBA, the sport’s world-governing body, suspended the players involved in the July 2 fracas against Australia, local basketball officials looked elsewhere for call-ups. Fortunately, Guiao got the reinforcements he needed in the likes of Marcio Lassiter, 2018 Asian Games holdovers Paul Lee and Christian Standhardinger, and national-team first-timers Alex Cabagnot and Scottie Thompson. Greg Slaughter would have been a shoo-in if he weren’t injured, but the other big men on the roster aren’t shabby — Ian Sangalang joins Asiad veterans Raymond Almazan, Beau Belga, JP Erram and Asi Taulava. Guiao stacked his roster with players who can match up with Iran’s height, bodies he can throw at the likes of 7-foot-2 center and former NBA player Hamed Haddadi. It seems, though, that the health of Haddadi (groin) and 6-foot-7 Arsalan Kazemi (leg) is in question. According to a report by the South China Morning Post’s Nazvi Careem, there is uncertainty over whether they will play or not. Haddadi, 33 years, leads the team in scoring (16.8 points) and rebounding (12) averages, playing just 4 out of a possible 6 games. Another player the Philippines will have its eye on is 6-foot-6 Mohammadsamad Nik Khahbahrami, Iran’s second leading scorer (12.8 points) and the league’s top assists man (6.8). 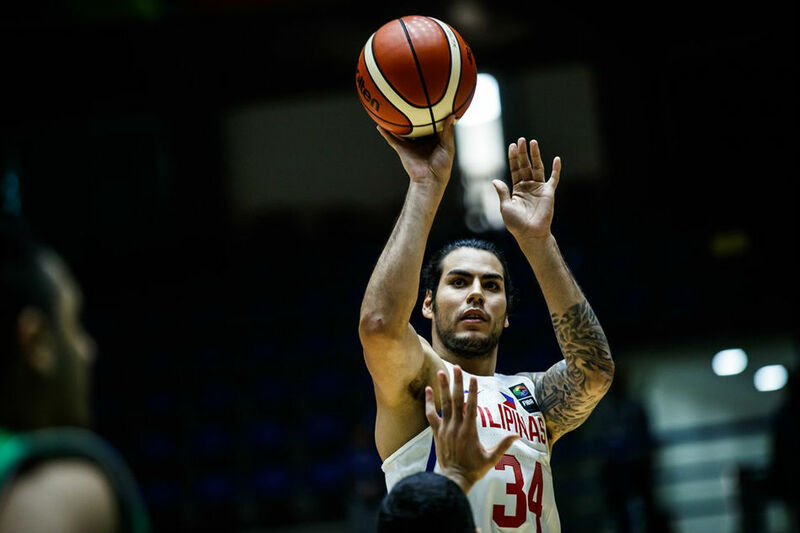 The Iranians are across the board taller than the Philippines — Standhardinger and Taulava, tasked with defending Haddadi, give up at least 5 inches — and they are more cohesive having played together for years and won championships together. But Guiao said he believes his remade roster gives the visitors an edge. 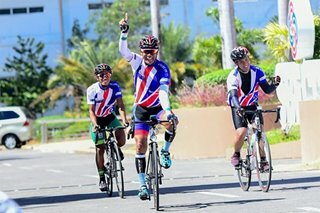 The Philippines is ranked 30th in the world, while Iran is 25th. The Philippines, which is bunched with Australia, Iran, Japan, Kazakhstan and Qatar in Group F, aims to finish in the top 3 or be the fourth-placed team with the best record to qualify for the FIBA World Cup next year.